I would like to say they'll be a little tired, sore and banged up, but they're in shape and after [tonight's] game we have some time off. 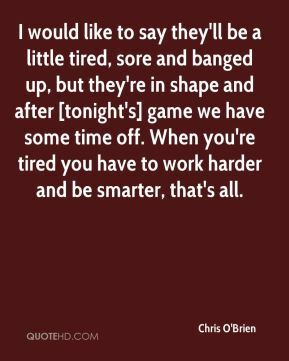 When you're tired you have to work harder and be smarter, that's all. He kept working and working and he makes plays because of his hard work. 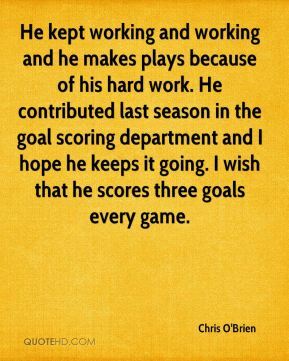 He contributed last season in the goal scoring department and I hope he keeps it going. I wish that he scores three goals every game. A break in the schedule could be good or bad. If you're hot and on a roll, you want the games to roll over. 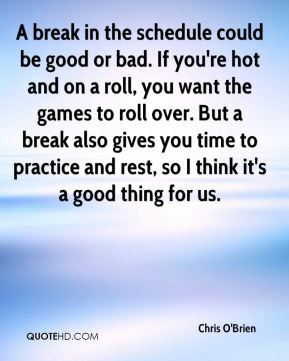 But a break also gives you time to practice and rest, so I think it's a good thing for us. 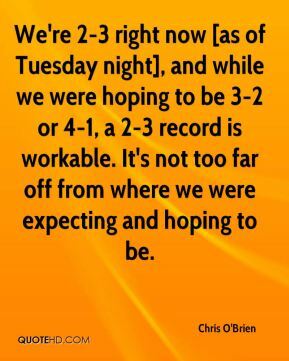 We're 2-3 right now [as of Tuesday night], and while we were hoping to be 3-2 or 4-1, a 2-3 record is workable. It's not too far off from where we were expecting and hoping to be. We had a heart to heart talk at the end of the first. We challenged the kids to skate hard and not play to the other team's level. And we challenged them to be the team they are. 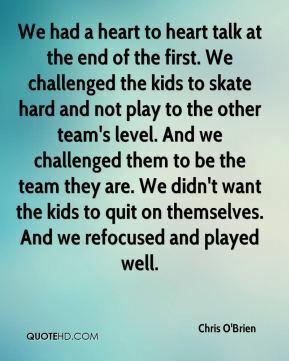 We didn't want the kids to quit on themselves. And we refocused and played well. 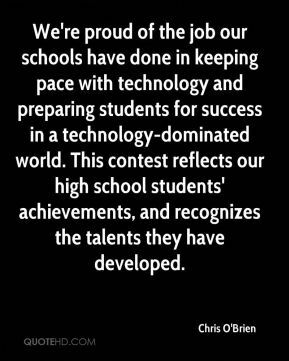 We're proud of the job our schools have done in keeping pace with technology and preparing students for success in a technology-dominated world. This contest reflects our high school students' achievements, and recognizes the talents they have developed. 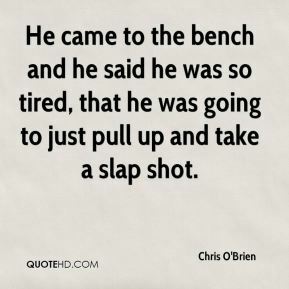 He came to the bench and he said he was so tired, that he was going to just pull up and take a slap shot. We had a slight break down, not a bad one. They floated a guy in the slot and scored on a one-timer. 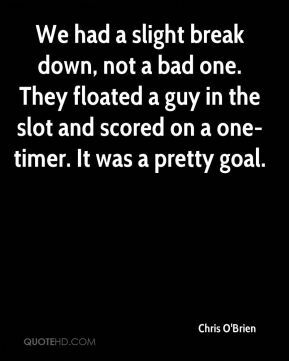 It was a pretty goal. 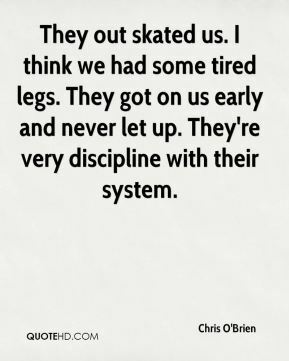 They out skated us. I think we had some tired legs. They got on us early and never let up. They're very discipline with their system.